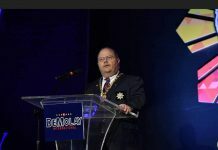 Brother Albert Michael Gavina, Chapter President of Royal Guardsmen DeMolay Alumni Chapter No. 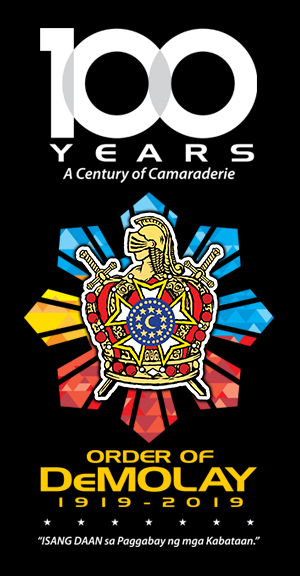 49, based in London, United Kingdom, under the DeMolay Alumni Association of the Philippines, reported to the Supreme Council, Order of DeMolay that the following Senior DeMolays and Master Masons of the alumni chapter have signed up and pledged their support as Dad Frank S. Land Centennial Fellow under the DeMolay Crusades in the Philippines: Brother Albert Michael Gavina of Narra Chapter (San Jose City, Nueva Ecija) and a member of Lodge Malaya No. 5213, United Grand Lodge of England; Brother Mark Anthony Salem of Teodoro R. Yangco Chapter (Olongapo City) and a member of Lodge Malaya No. 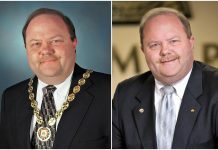 5213 United Grand Lodge of England; Brother Kim Villacampa of Mt. 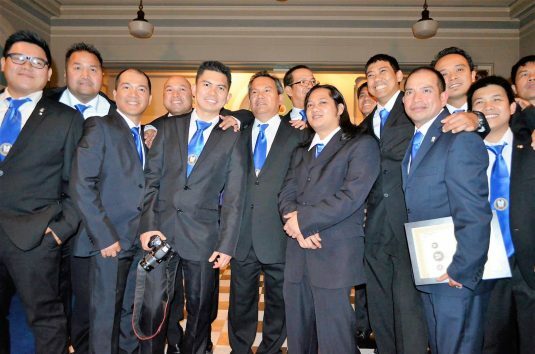 Apo Chapter (Digos City, Davao del Sur) and a member of Boltonian Lodge No. 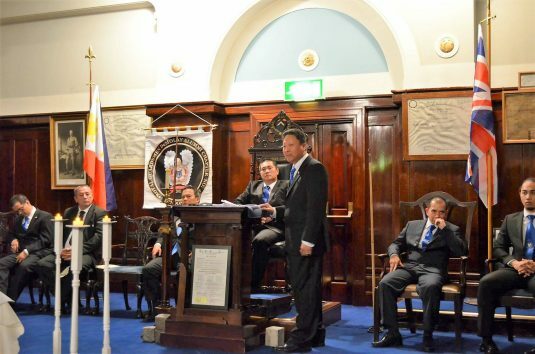 3716, United Grand Lodge of England; and Brother Salvador Tiangson, Jr. of Feliciano Iñigo Chapter (Davao City) and a member of Boltonian Lodge No. 3716, United Grand Lodge of England. 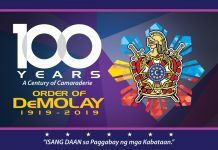 The DeMolay Alumni Association of the Philippines issued the Letters Temporary of the Royal Guardsmen DeMolay Alumni Chapter on September 12, 2012 and subsequently the alumni chapter received its Permanent Charter with its official number 49 on March 18, 2013. 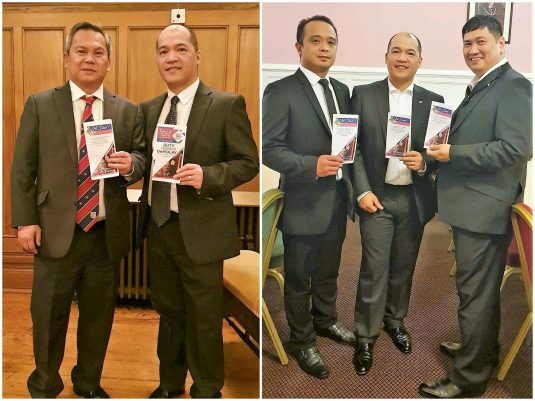 The alumni chapter continues to play a critical role in helping and assisting Senior DeMolays, who arrive in London and the United Kingdom for work and other related purposes, and at the same time, supports our Philippine Consulate in its various projects and events for the Filipino community in the UK. 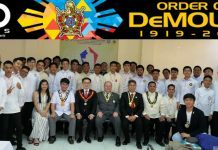 Grand Master Edison Abella of the Supreme Council, Order of DeMolay commended this group of Senior DeMolays, though they are now residing abroad, they continue to support the Order of DeMolay in the Philippines. 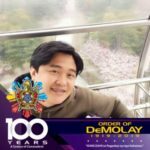 Thus, giving life to the saying: “Once a DeMolay, always a DeMolay”.